Born in Olympia, WA. I graduated from Capital High School and joined the Army. Graduating from Ranger School as the Leadership Honor Graduate; I Performed Peace keeping duties in Sinai, Egypt. After I Left the military in 1988, I worked as a Plumbers Apprentice, Leather-Smithing Apprenticeship, Prison Guard in a Maximum Security Prison, college student, Range Master at an indoor gun range, paintball field manager, pawnshop owner, industrial safety supervisor, hazardous material emergency responder. Almost ten years later, I returned to the military in 1997. Serving in the Arizona National Guard until 2005 when I returned to Active Duty. 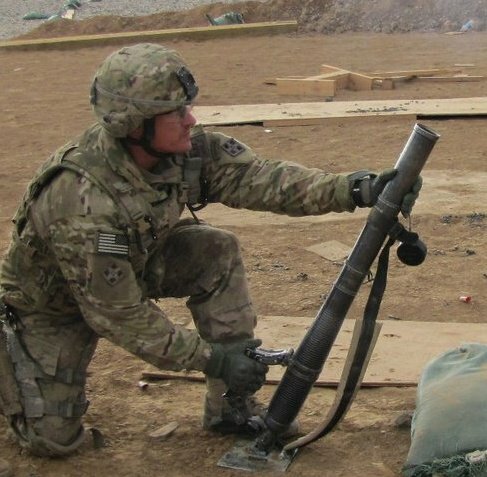 I served two combat tours in Iraq as part of Military Training Team and one combat tour in Afghanistan as a Fire Support Platoon Sergeant and Mortar Platoon Sergeant. For fun I like to explore new places, go 4-wheeling, high-powered rifle shooting, hand gunning, camping, and hiking. I also enjoy flying but, that is an expensive hobby. I have two older boys, who are combat veterans as well. I have been writing most of his life. 6.5 x 41 Kurz ECAPTC Cartridge Production Starts TODAY! Days Away From Editing “Casualties of War”! Busy Weekend but still got in some Great Writing! Rerelease of “Pilgrim’s Trail” on Kindle this Week!